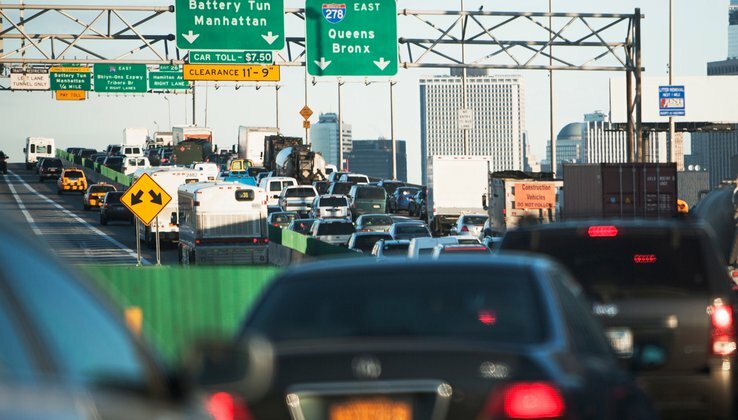 In landmark legislation, New York State passed a budget on March 31, 2019, that included provisions for a congestion fee in parts of New York City beginning in 2021, making it the first US city to use congestion pricing to both raise revenue and reduce congestion. The fee will be levied on vehicles that come into Manhattan through streets, bridges, and tunnels anywhere below 60th Street. The revenues, expected to be about $1 billion per year, will be directed almost exclusively at improving the beleaguered subway and transit systems, through leveraging them to support a $15 billion bond program. Though the fee will not go into effect until 2021, and many details are still to be worked out, including the period of the day to be tolled, estimates are that cars would be required to pay about $11.50 and trucks about $25. Economists and policymakers have long touted congestion pricing as a way to influence driver behavior to promote more efficient use of urban roadways. The New York City fee, because it makes travelling more expensive, will reduce the number of vehicles that enter lower Manhattan, and reduce the amount of time and money drivers spend sitting in traffic. One estimate is that NYC drivers lose $20 billion annually because of congestion, so there is much to be gained through this policy. As the fee makes public transit relatively lower cost compared with driving, there is the potential for what has been referred to in the congestion pricing literature as the “virtuous circle” of benefits: higher costs of driving at the congested times cause drivers to switch to public transit, allowing travel times for some forms of transit to fall (bus) and transit revenues to rise. This is in addition to the substantial increase in revenues from the congestion fee that NY will direct to the subway system. More efficient and reliable transit options will attract more riders, and roadways become even less congested, making the system even more efficient. There are a range of other possible responses to the fees. Drivers could shift travel times, increase occupancy rates, shift destinations to outside the downtown cordon area (particularly over the longer term when businesses could relocate), take for-hire vehicles into the area (as they did in London), and some may “trip chain”—instead of making multiple trips over days or weeks into the area, some drivers may bunch them up for one excursion. All these behaviors decrease downtown congestion, but they have varied effects on revenues and some would increase congestion outside the allotted area. Overall, these comments illustrate a major dynamic of congestion pricing: as fewer drivers opt to enter the downtown area, less revenue will be raised. Put another way, the more effective the tax is at changing behavior and improving congestion, the less revenue is raised. Further, the legislation requires that bridge and tunnel tolls to get into the city be credited fully against the congestion fee, which could offset all of the fee and blunt the revenue effect. Still, New York has been considering a congestion tax for many years, and appears to have done its homework. The city has drawn lessons from the experience of other cities throughout the world that have already implemented congestion policies, including Singapore, London, Stockholm, and Milan. The London experience is probably the most relevant for the New York City situation. London has a congestion fee for entering the city center during weekday commute periods that was introduced in 2003. It is a single fee across the entire day because congestion is relatively constant through the day, so time-of-day pricing is not an important consideration. New York’s congestion levels in the area designated for the fee are similar—high congestion levels and slow speeds throughout the day. Currently, average speeds in lower Manhattan are slightly lower during the morning commute, but are below 10 miles an hour throughout the day (and average 4.7 miles per day in the heart of the area). London’s policy has been a success by almost all measures. The initial fee of 5 euros was estimated to reduce traffic (the number of vehicles) in the restricted region by 15–18 percent, and congested conditions (time spent below the speed limit) fell 30 percent and average speeds went from 8.8 to 10 mph. There was even an improvement in air quality. But, even though the fee has more than doubled today to more than 11 euros, some of the gains have been lost from increased traffic from for-hire vehicles that are not required to pay the fee. 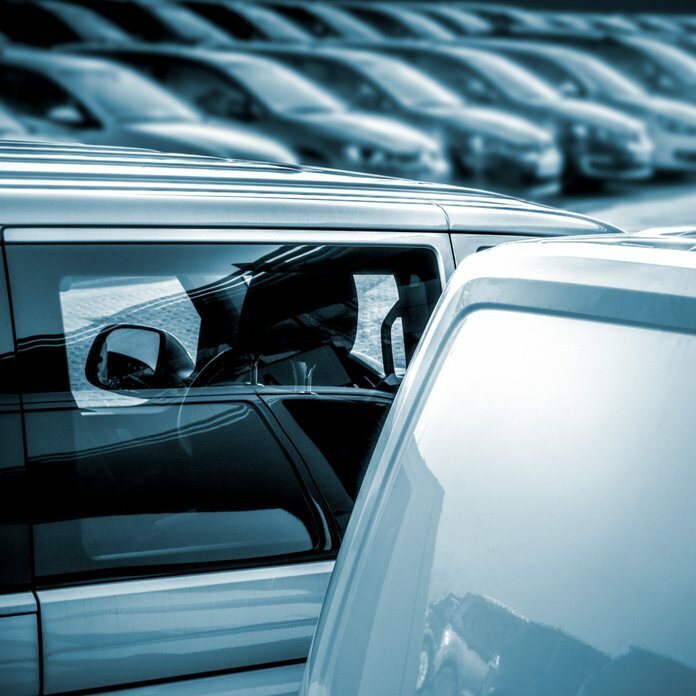 New York City has also experienced large increases in for-hire vehicles in the last five years, with the number of such vehicles doubling at certain times of the day compared to 2013. It recognizes the need to address this issue as part of an overall congestion reduction plan. The city recently levied a new fee on for-hire vehicles to travel in a larger area of Manhattan (below 96th Street). The fee is currently being challenged in court, but because the for-hire companies will be exempt from the new downtown congestion fee and will gain in travel times, perhaps a settlement involving both policies can be fashioned. Yet, because the London congestion fee was successful at reducing traffic in the downtown, the revenues were not as high as expected. The costs of implementing and enforcing the system were also much higher than expected. New York benefits from having tolling systems including electronic recognition on many of the tunnels and bridges into the city. But there are other points of entry, especially along 60th Street and FDR Drive off-ramps that will have to be included. Ongoing but cost-effective approaches to measuring compliance, and setting effective penalties will be important going forward. Another important lesson for New York to take from the other cities is that in all cases, they undertook significant investment in public transit before implementing the congestion tax policy. This is crucial because the success of the policy in reducing congestion depends on inducing some commuters to shift to other modes or times of travel. The current New York City Subway system is so unreliable that it may be difficult to get commuters to switch to it before large improvements are made. Those improvements will be ongoing based on funds from the congestion toll, but there may be a chicken-and-egg problem here. The city may have to make some key improvements to the transit system before the congestion fee is actually implemented in 2021. Many of these details will be worked out in the next two years by the group that has been vested with the power to design the fee system and evaluate it over time. The planned collection of data on costs, usage, travel time, and compliance, as well as its use for analysis, will be important going forward for meeting and improving upon the multiple goals of the policy and making the fee system as efficient and effective as it can be. Why All the Talk about Gas Prices and Fuel Economy Standards?